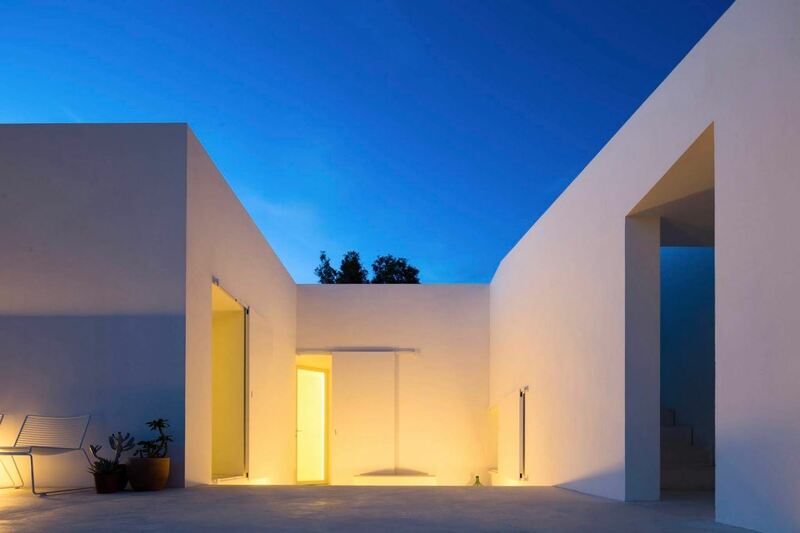 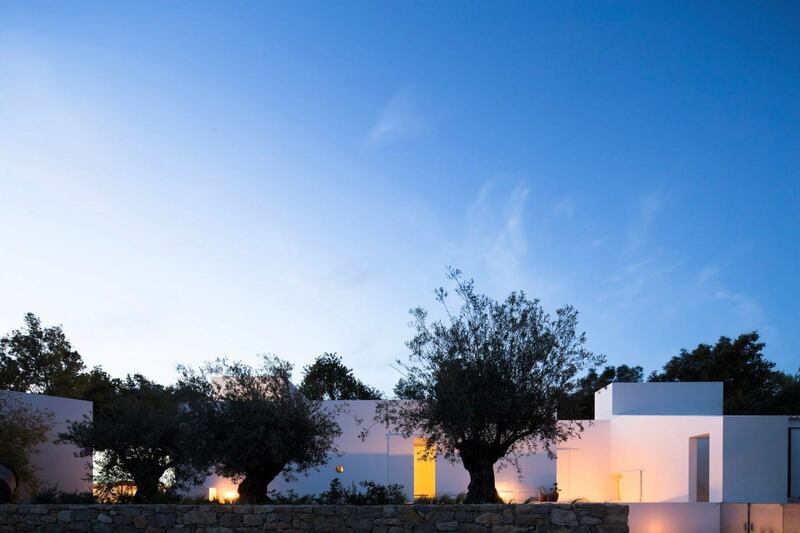 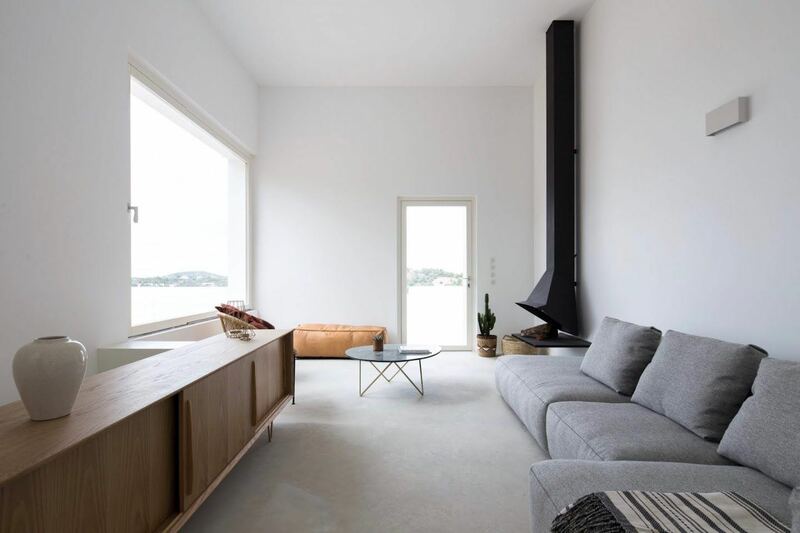 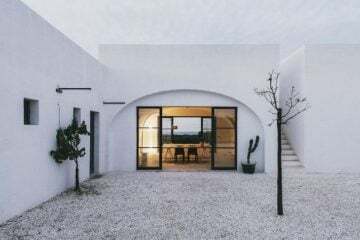 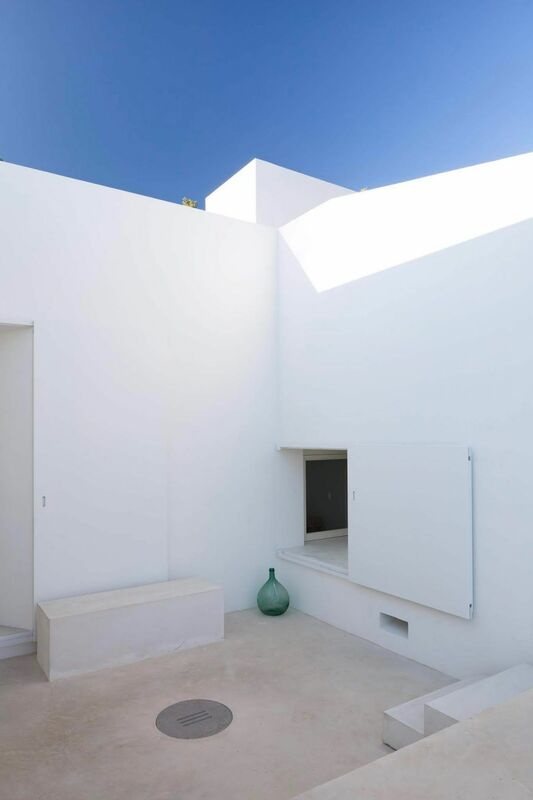 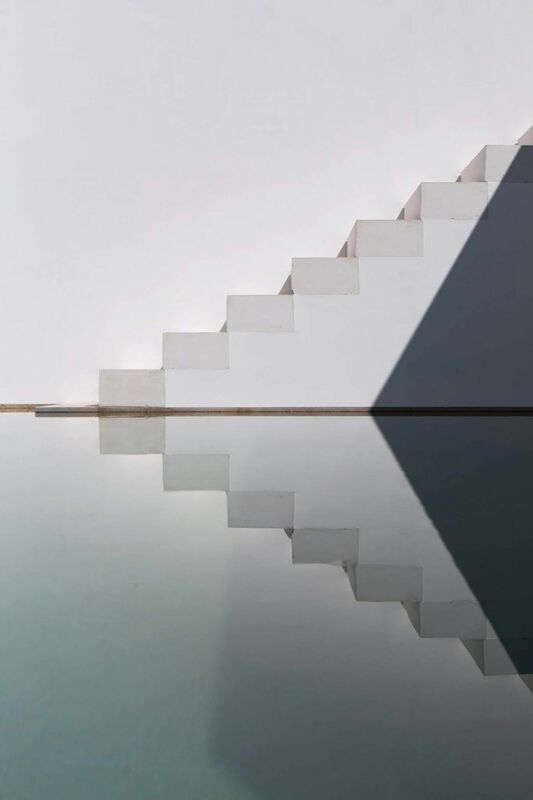 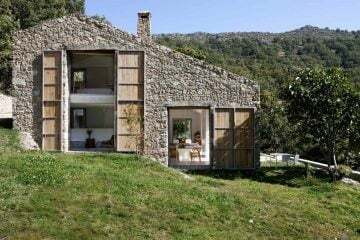 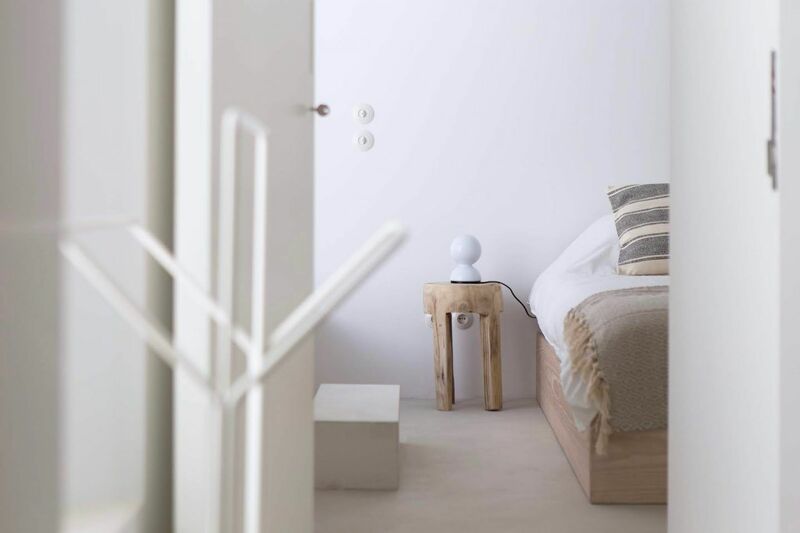 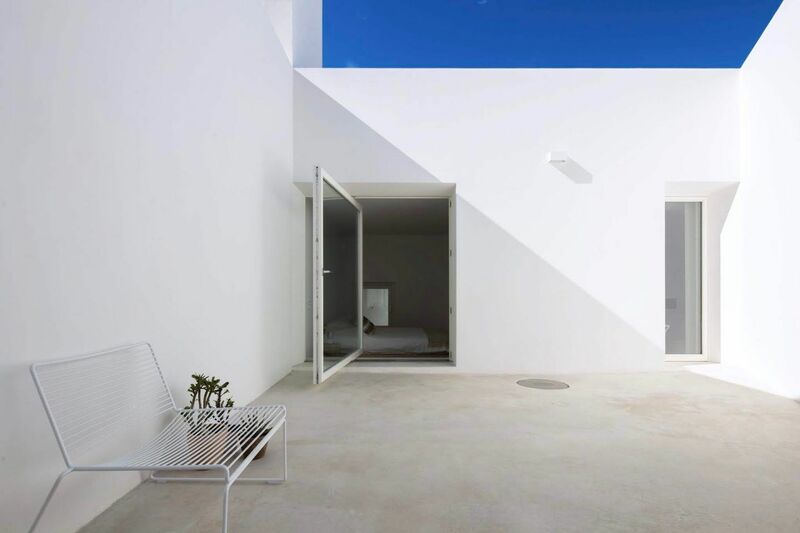 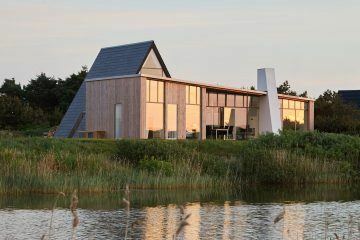 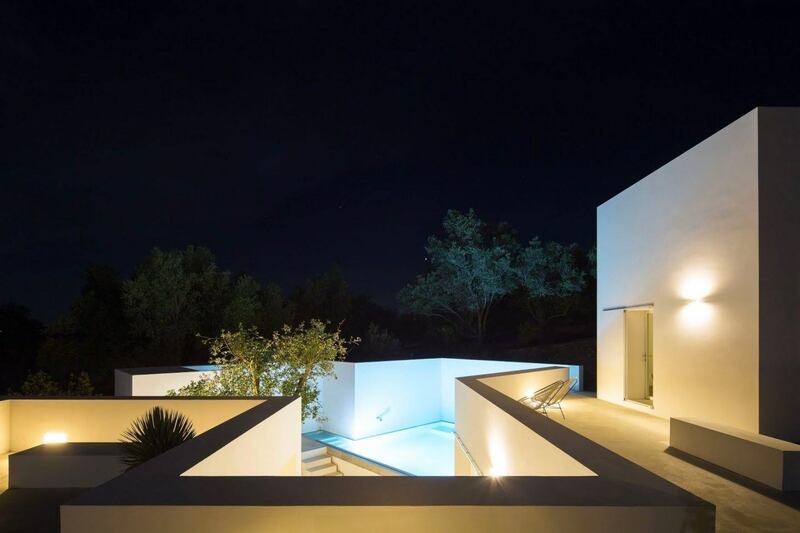 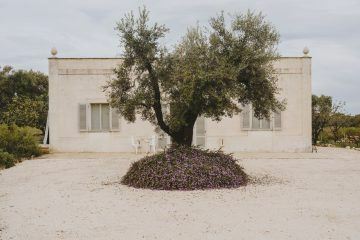 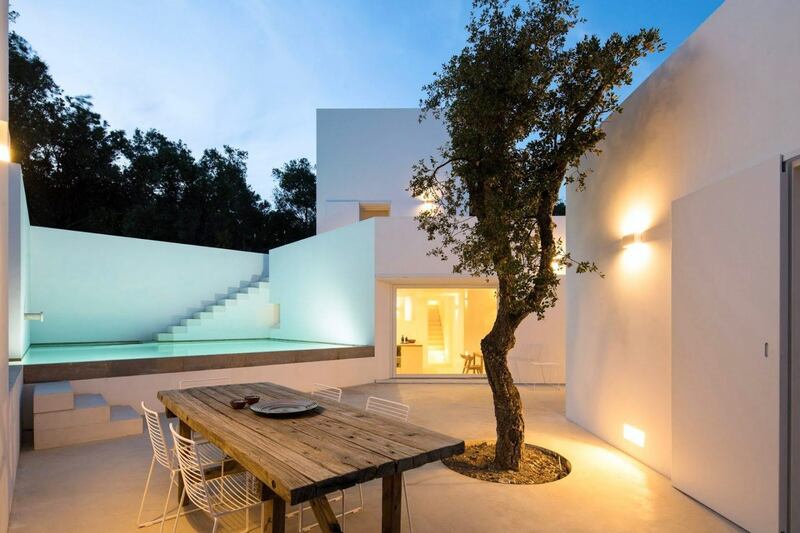 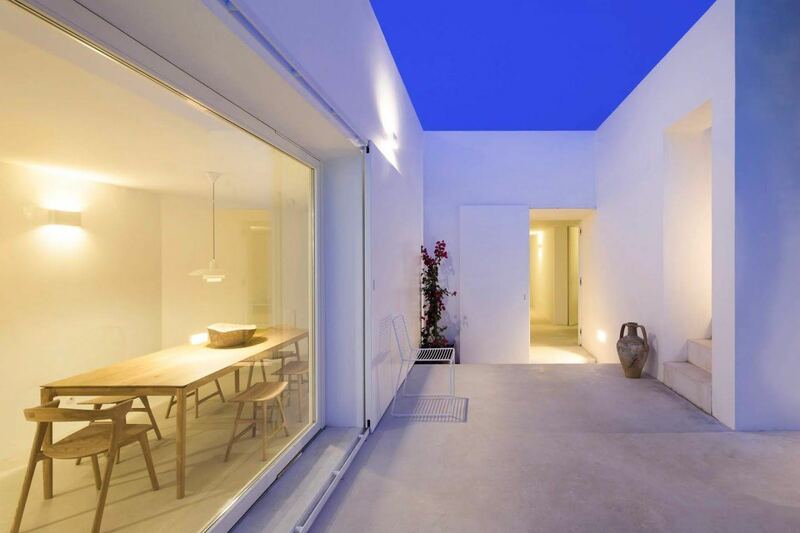 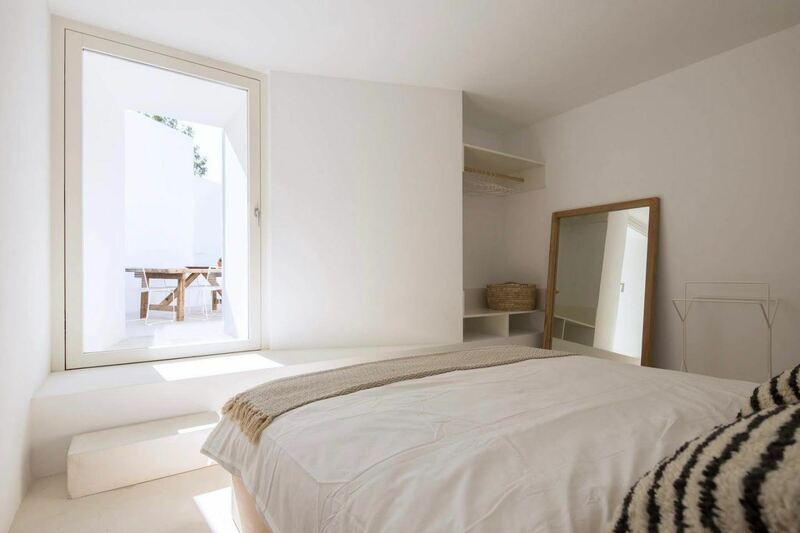 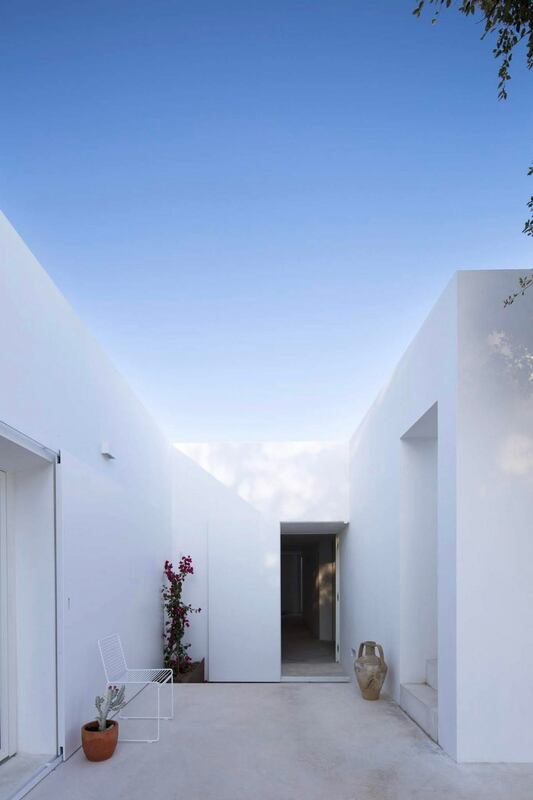 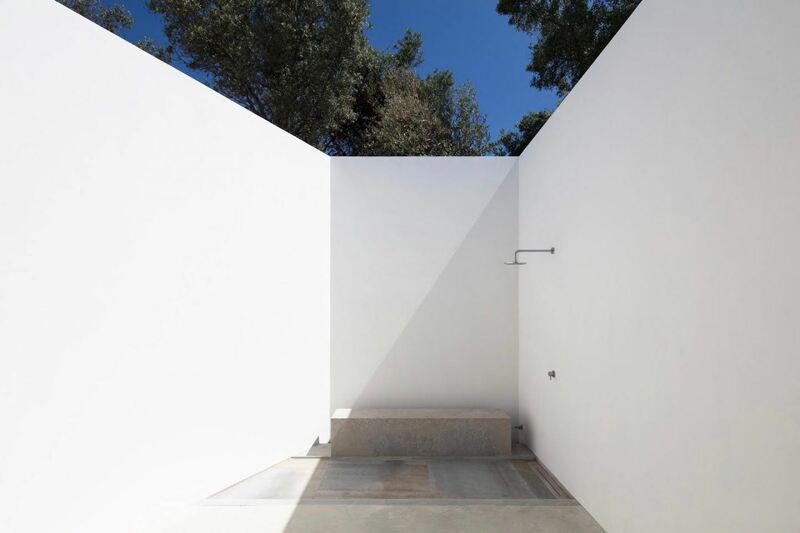 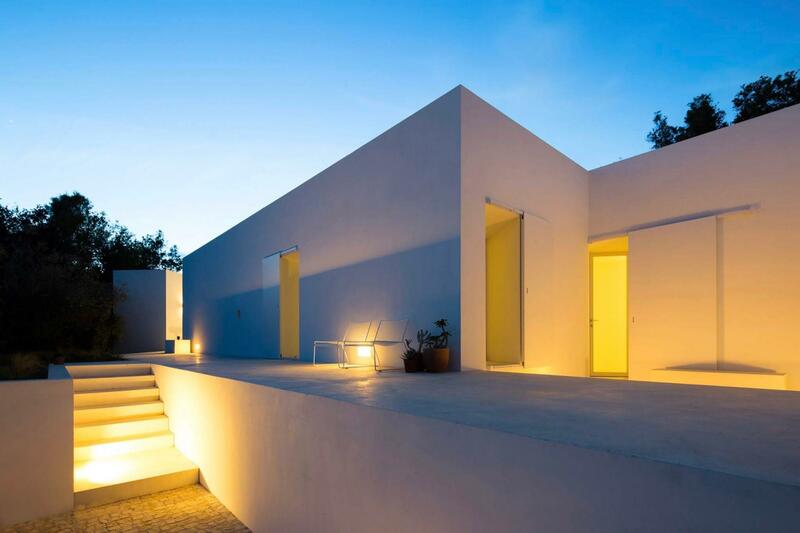 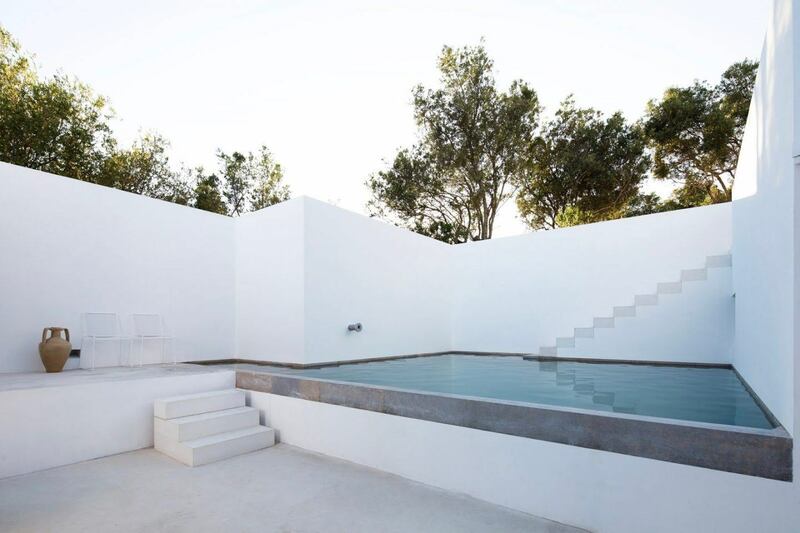 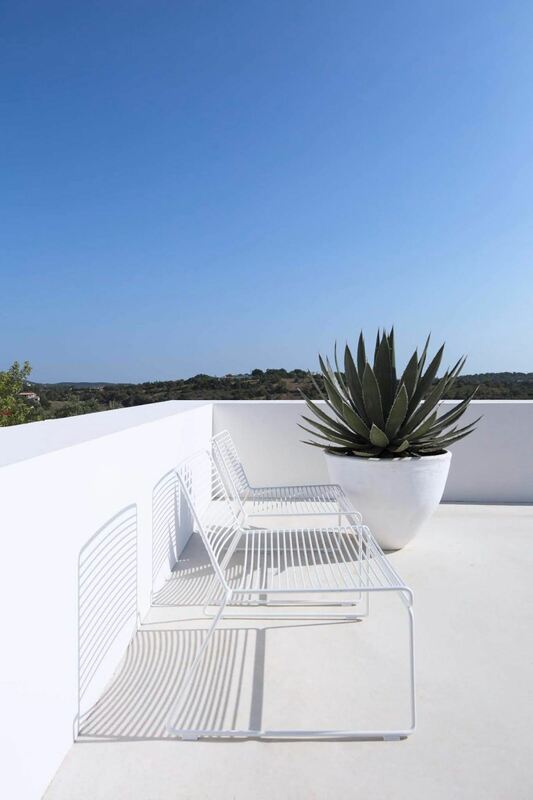 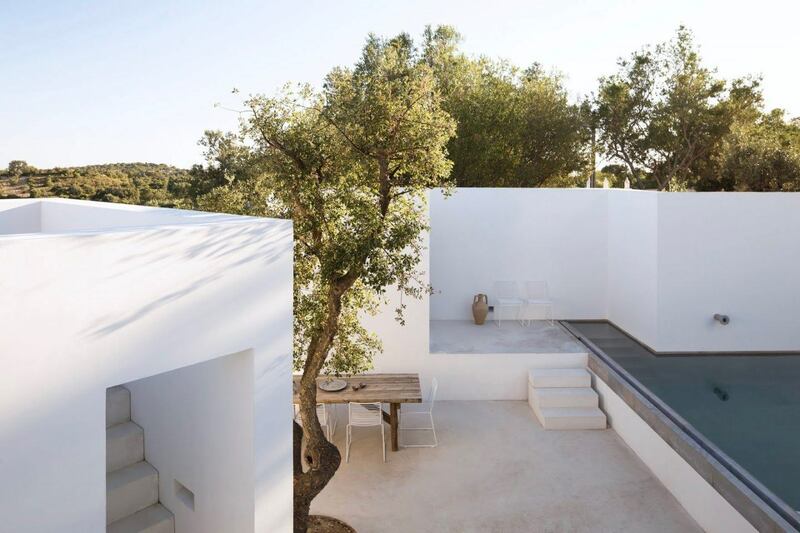 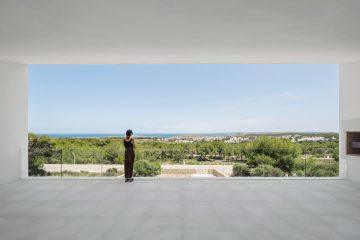 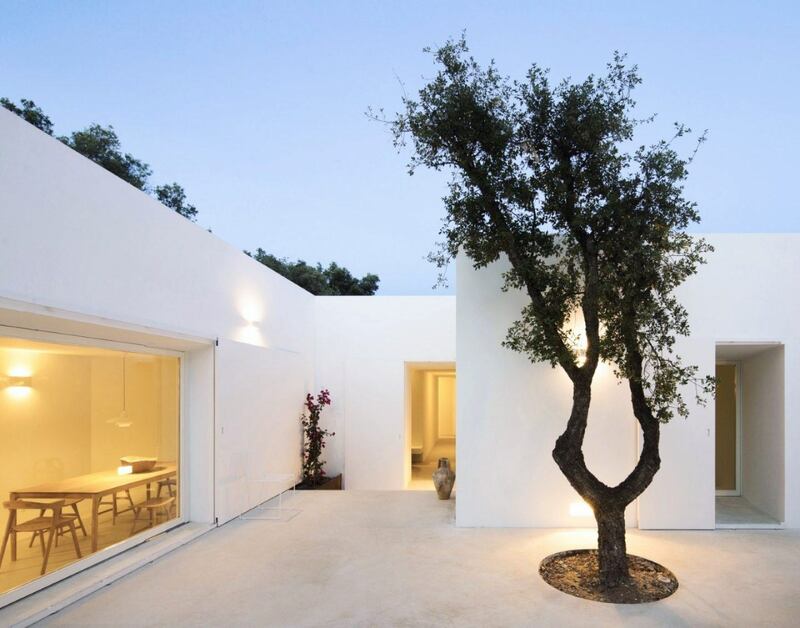 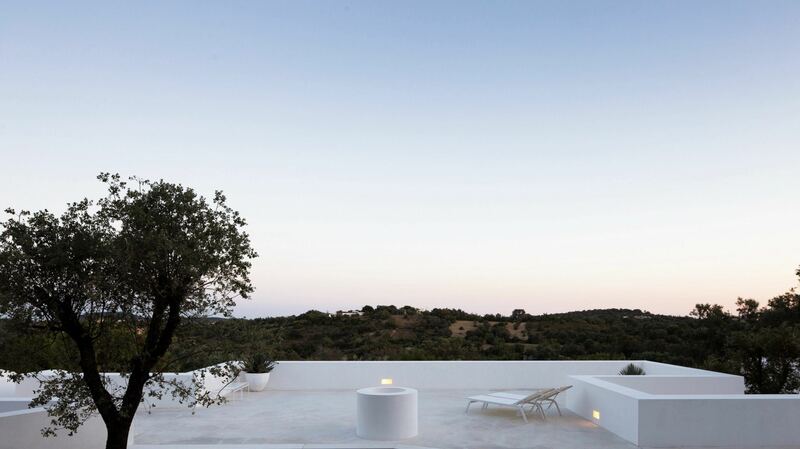 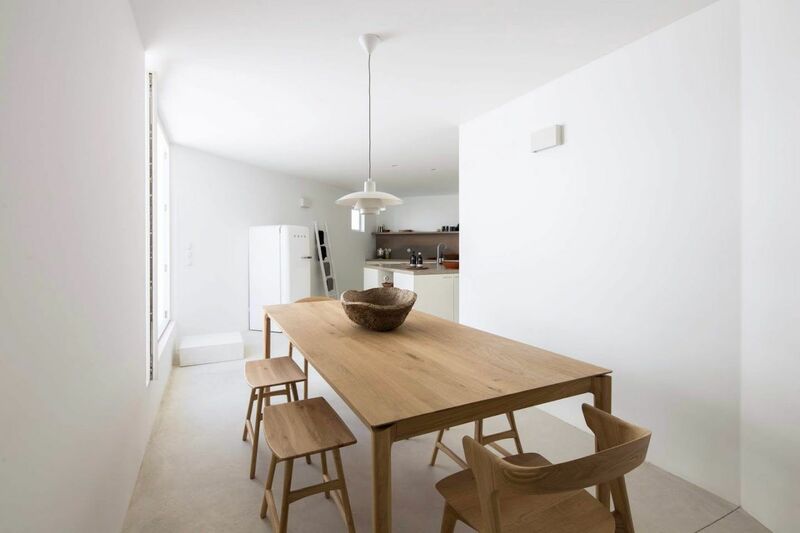 In the spectacular region of Algarve in the south of Portugal lies ‘Casa Luum’; a holiday home composed of interweaving structures designed by Portuguese architect Pedro Domingos, and available for you to rent. 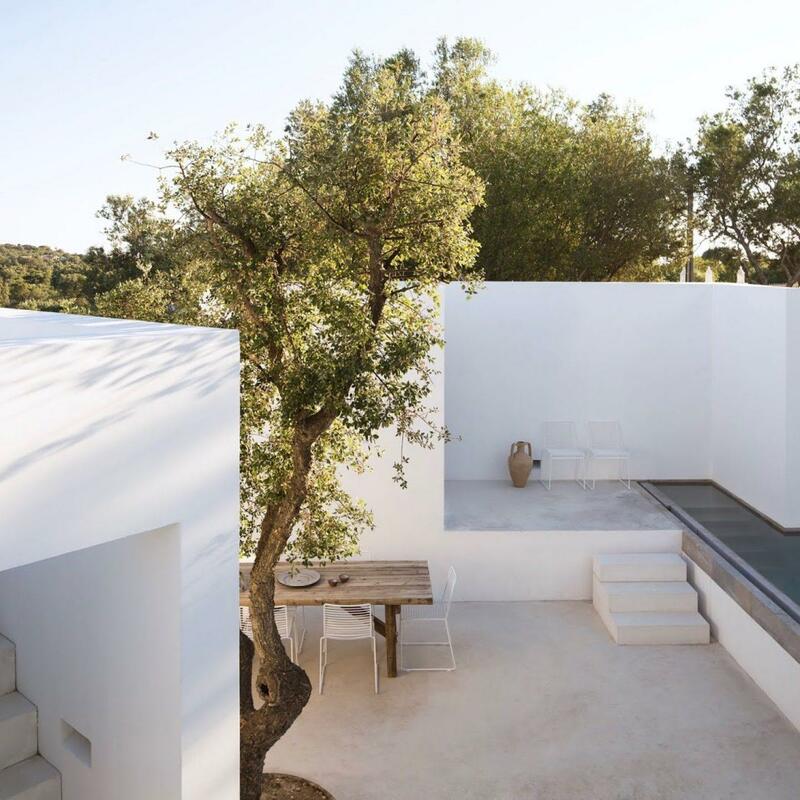 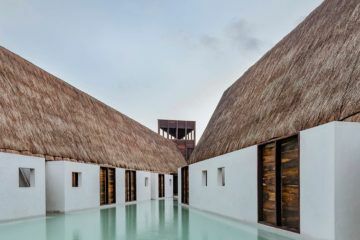 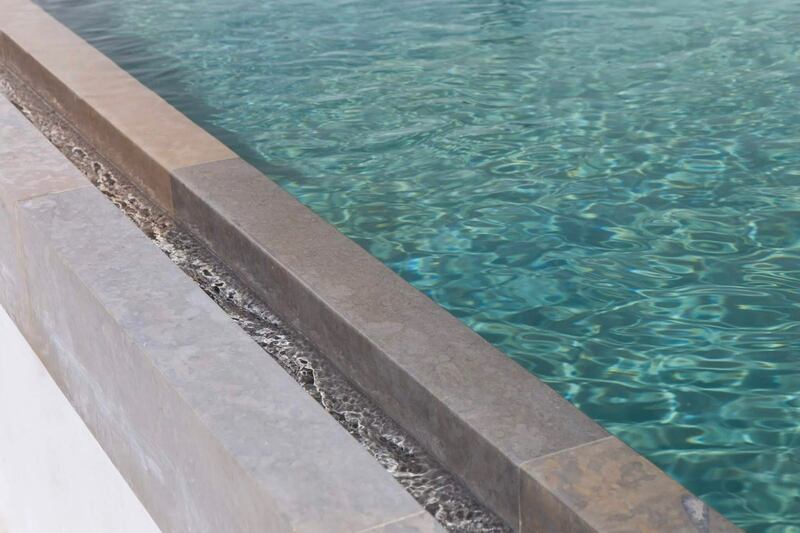 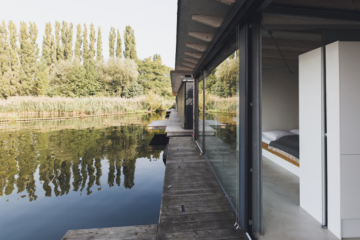 Split across two spacious levels, the white geometric home is structured around an inner courtyard fit with lap pool, dining area and outdoor shower. 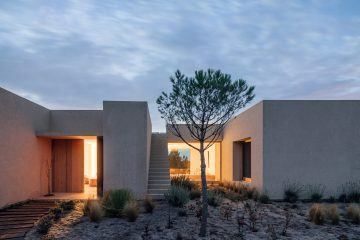 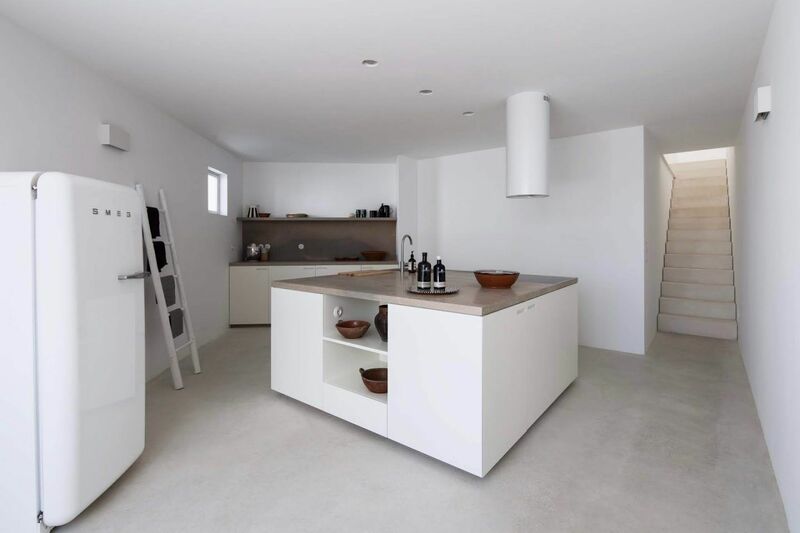 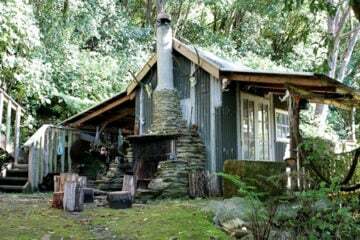 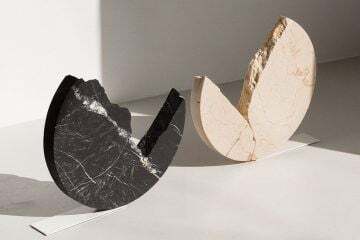 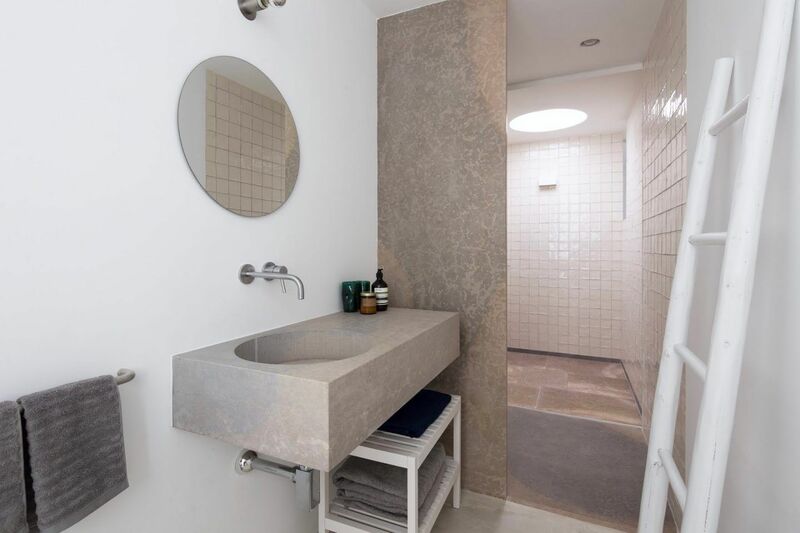 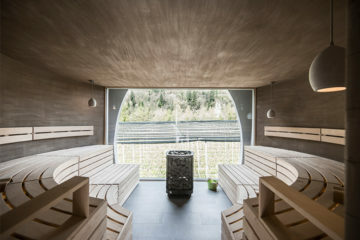 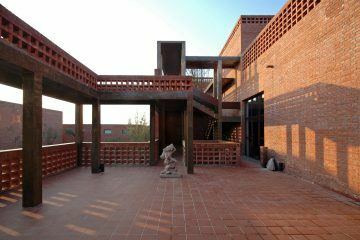 Natural materials and earthen colors continue the neutral theme of the courtyard inside; where on the ground level you will find four bedrooms, a kitchen and a dining room that open onto this a bright terrace space. 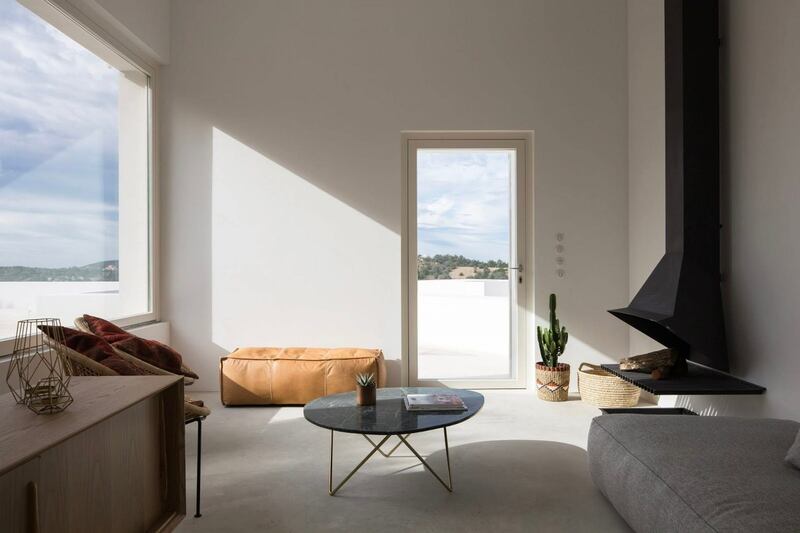 On the top floor is the living room, which has views of the nature reserve and offers access to both the expansive roof terrace and verdant garden that is filled with native plants and herbs year-round.